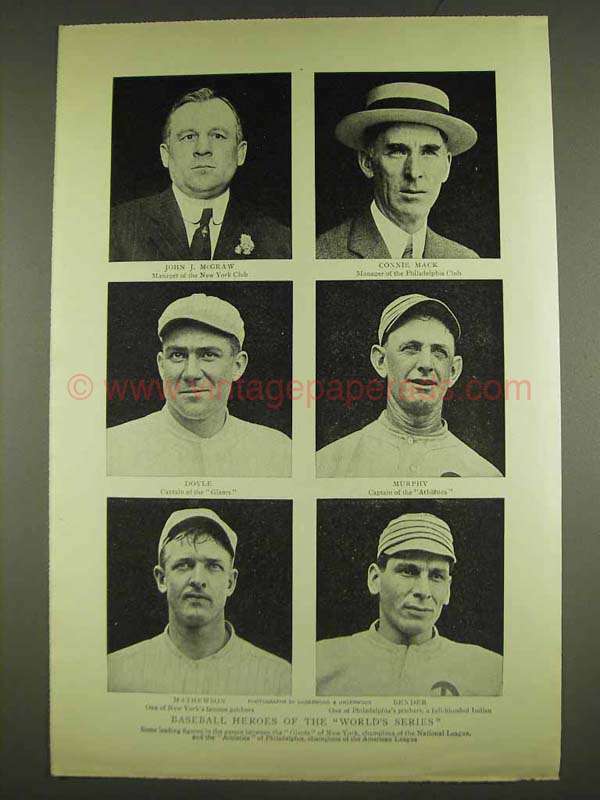 This is a 1913 Photo From a Magazine of John J. McGraw (manager of the New York Club), Connie Mack (Manager of the Philadelphia Club), Doyle (Captain of the Giants), Murphy, (Captain of the Athletics), Mathewson (New York Pitcher), Bender (Philadelphia Pitcher)! The size of the page is approximately 6.5x9.5inches. The caption for this photo is 'Baseball heroes of the World's Series' The page is in great condition. This vintage page would look great framed and displayed! Add it to your collecction today!